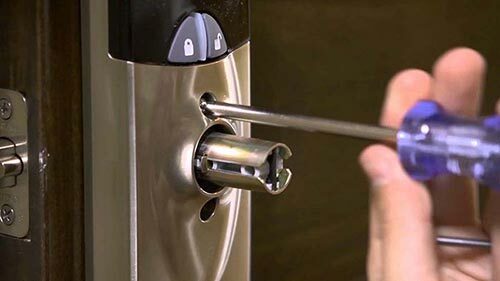 If you’re in need of a professional, emergency locksmith in the St Augustine area, then Jacksonville Locksmith Now is the company for you. We specialize in all types of locksmith services. This includes both residential and commercial locksmith tasks, unlocking automobiles, unlocking safes, and more. Being locked out of your home, business, car, or any other object or place of importance is something extremely unpleasant. Fortunately for you, we’ve been in business for over 20 years and, as a result, we’re the perfect locksmith company in 32084. Our professional locksmiths are able to help you 24 hours a day, 7 days a week! We’re the leading 24 hour Locksmith in St Augustine, Florida. Whether you’re locked out of your car, home, or business, we’re here to help in any way we can. We understand you lead a busy day, and as a result we make it a point to pride ourselves in an extremely quick response time. Jacksonville Locksmith Now provides a vast number of different locksmith services for people who need it. We provide expert locksmith services within 50 miles of Jacksonville, so we’re able to come to you. This includes our immediate responding to residential, commercial, or automobile lockouts, as well as any safes that need to be unlocked as well. For more than 20 years, our company has maintained a stellar reputation for providing on-time and affordable solutions for everyone in the St Augustine area.